This classic pair of French urns dates to the second half of the 19th Century and features an elegant form and wonderful proportions. In perfect condition, the pair measures 27" hi x 20.5" diameter x 8.5" square base. 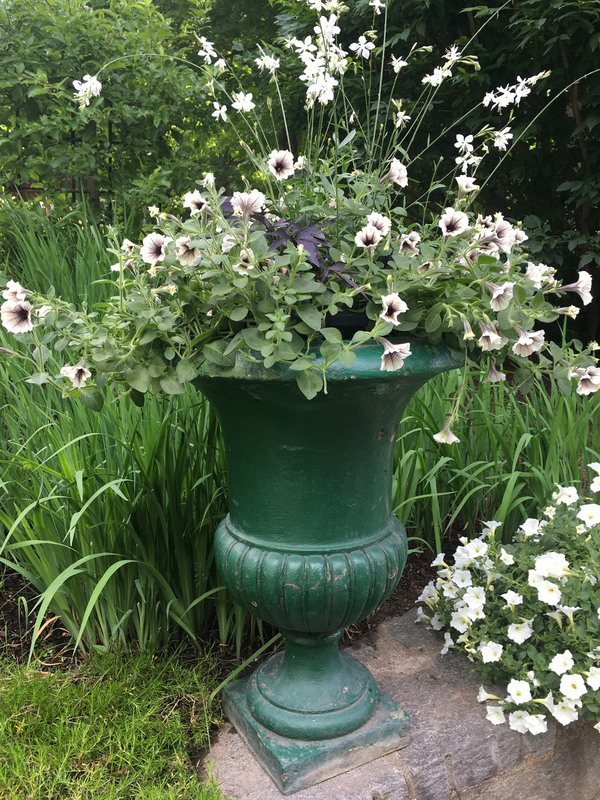 Very deep planting wells make these easy to pot up with your favorite topiary or exuberant annuals, or use them as table bases for a long rectangular dining table. In older green paint, they can be sandblasted and painted to your custom specifications if desired.